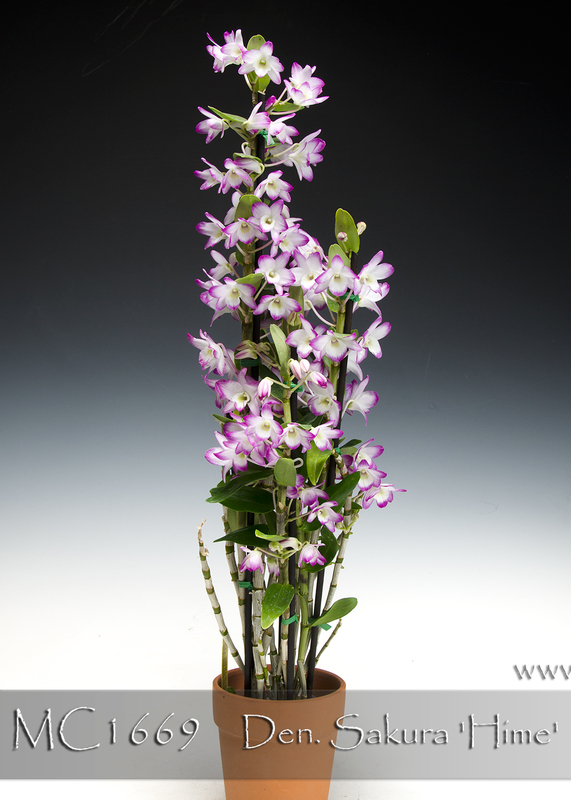 An adorable and colorful new addition to breeding for fragrant miniature nobile-type dendrobiums ! 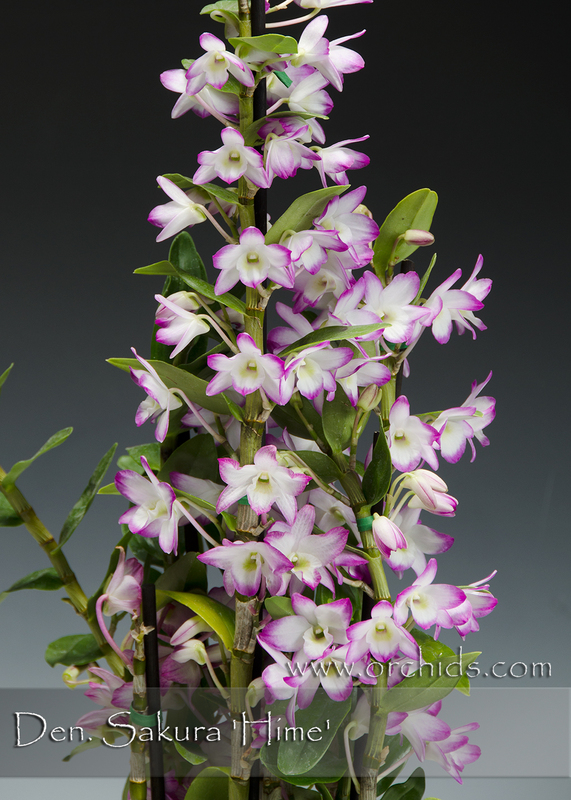 These little gems are already fully mature in a 2” pot and can quickly reach a showy specimen size in just a 3.5” pot. Jumbo Size will have about 13-16 growths. Like Den. 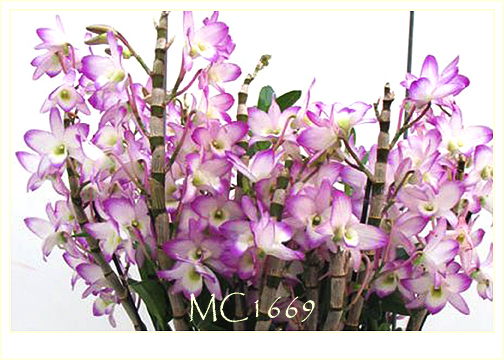 Angel Baby (MC1044), these miniatures are warmth-tolerant and can grow and flower easily under Phalaenopsis conditions, yet will be equally at home growing under intermediate to cool conditions. If grown warmer, they tend to remain evergreen rather than dropping their deciduous leaves. If grown cooler, their deciduous nature allows the flowers to show off to their fullest advantage on leafless canes. Each flower is accented with a bright granny apple green throat and outlined with a brilliant pink picotee. Ideal for windowsill and under-lights growing. Very Highly Recommended ! 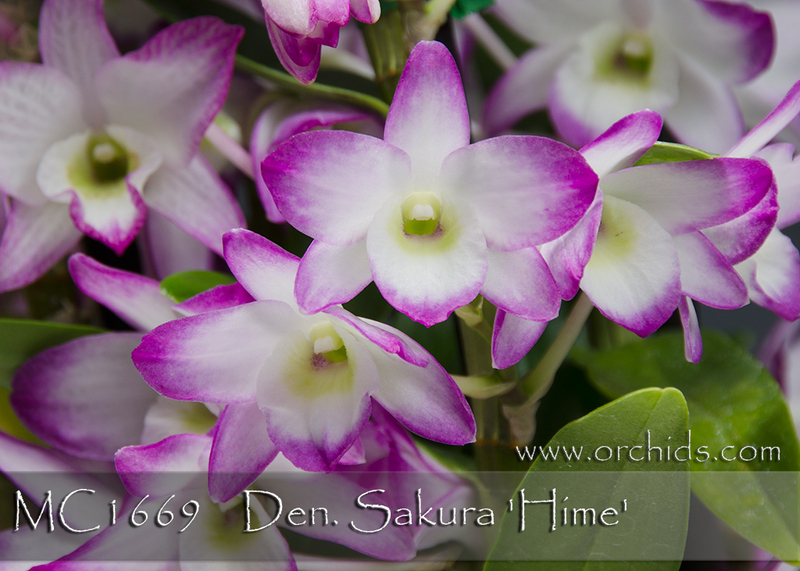 Hime', Note : Sweet Fragrance !